The skin feels fresh and gently perfumed. 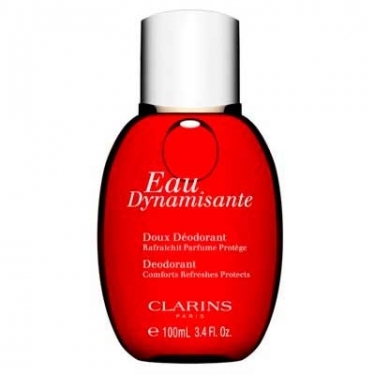 Eau Dynamisante - Doux Déodorant is a Clarins spray deodorant to prevent and neutralize odors without interfering with the natural perspiration process. This formula provides long lasting results to ensure freshness and comfort throughout the day. Contains licorice extract to leave skin soft and smooth and essential oils to gently perfume the body. Leaves skin fresh and confident all day.